Where are you undertaking/did you undertake your research? I undertook my research at the University of Abou Bekr Belkaid – Tlemcen, in the Department of Architecture, Faculty of Technology, The work was directly related to the nature of the research field in which I majored; architecture and technology, which is one of the three specialties taught in the department. My thesis focuses on an aspect of architecture that is rarely brought to the table, and that is architecture of emergency. The research argues that this aspect should be taken into great consideration nowadays given the misery and crises that are spreading across the entire globe. The work consists of two parts; the first part is a theoretical research that covers the fundamentals of architecture of emergency, its types, plans and repercussions of catastrophes, along with a detailed study concerning the technique proposed as a solution for emergency housing. The second part of the thesis is the architectural result of the work. The project is a refugee camp that follows a new approach designed to be built in Gaza city in Palestine. It provides a technical solution including the different plans, sections and elevations for the project and also 3D modeling, while taking human needs as a priority. How did you get into this research? As students of architecture, we are provided with the necessary knowledge to build for rich people, to build with creativity, and to make cost/benefit compromises. However, we are rarely provided with the necessary knowledge to undertake architecture as humans as well as architects. Humanitarian aid has always been my passion, my priority, and my duty towards the wider community. I therefore wanted to invest the knowledge I have gained as an architect in this domain. In July 2014, Gaza strip was severely attacked by the Israeli occupation forces. A devastating conflict took place for over 50 days; a besieged territory of 360 Km² with the highest population density in the world was bombed and destroyed following an obvious collective punishment policy, and then left alone to survive this assault while the entire world moved nothing but papers and voices. What happened in Gaza strip that summer was not a motivation for my work per se but rather an appeal of conscience and a feeling of guilt towards our brothers and sisters in Palestine. Helplessly and hopelessly watching what was happening, I decided to start a research project in a humanitarian context that could provide a solution for one of the many problems faced by the people of Palestine. In 2014, and for the first time since the Second World War (WW II), the number of refugees in the world exceeded 50 million. Conflicts and catastrophes – by the magnitude of damage they cause – put populations and nations in deep needs that often overcome their means, which in turn endanger survivors’ lives, unless and aid is provided. Tremendous efforts are needed after crises to preserve lives and rebuild affected areas; a city like Gaza needed a full reconstruction on many levels from infrastructures to recreational facilities depending on the damage assessment. Studies from previous and current cases of crises solidify the theory that today’s solutions do not help tomorrow’s vision of life for the affected sites and its population, therefore more realistic field studies should be undertaken that consider all the variables in a given context. What is your contribution to your field of research? 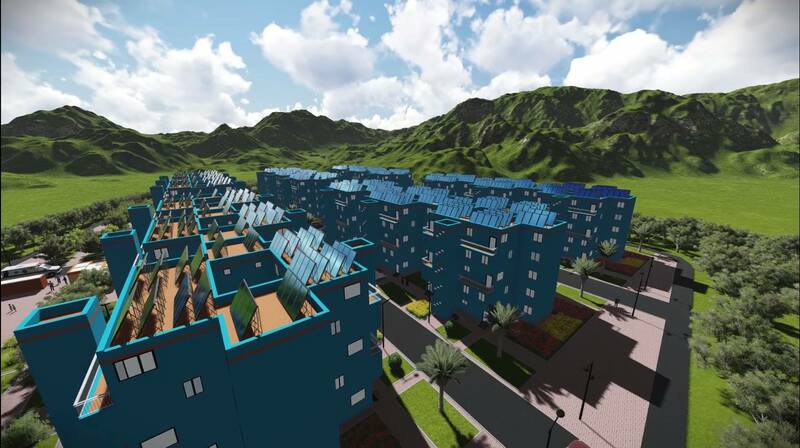 The research I conducted aimed at using new technologies developed in the construction field to provide an alternative solution for emergency housing by identifying and overcoming the obstacles relative to the modeling of building types. The thesis highlighted the importance of the humanitarian architecture in our academic studies and on the ground, recognizing the architecture of emergency as inevitable considering the context of continuing conflicts and natural disasters. The research investigated the possibility of recycling existing materials to use in solving housing problems to create better alternatives than the ones currently used by authorities and aid organisations. The project resulting from the research described a new approach of creating comfortable houses by recycling and optimizing marine containers – typically destined for transporting merchandise – to become habitable. The approach defends people’s rights to dignity that should be assured no matter the circumstances. This initiative has been applied to the second phase of a reconstruction process, which is temporary housing. Temporary housing typically takes the form of camps for refugees, but more often than not, these camps never answer the basic needs of human life. By optimizing containers, we would be able to offer living units that are adequate for a given family given its size, save space by building floors, and save electricity and food by offering small kitchen gardens. RESISTANCE CONTAINERS camp of refugees is a new approach in emergency housing that gives an insight of what refugees could be offered in the future, thus avoiding the chaos that often results from the need for extensions. I did not conduct this research to wish for more conflicts and catastrophes to occur, but to produce a practical way to deal with what seems to be the inevitable. More importantly, the research shifts human needs and dignity to the forefront of architectural design at times of emergencies. Ms Hadjer Hammoumi is an engineer. 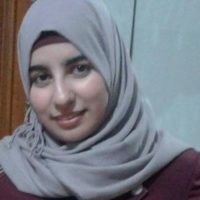 She obtained her master’s degree as an architect in 2015 from the Department of Architecture, University of Abou Bekr Belkaid, Tlemcen. Her work focuses on architectural technology, applying new techniques in building design, and integration of new materials and construction technologies in architectural production.